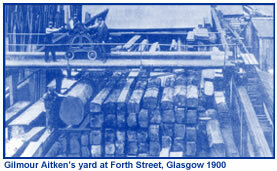 Gilmour and Aitken Ltd is a leading UK timber business, a family business since 1852. In its 5th Generation the business is proud of its depth of product knowledge and extensive stock holdings. 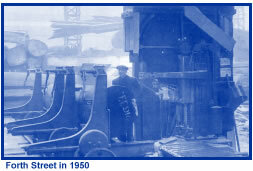 In 1976 the company moved to a 15 acre site in Alexandria, 15 miles West of Glasgow. The new site gave the company the space to expand at pace and as the business grew, new kilns were installed to further increase the company’s capabilities. The following year saw the establishment of the Aitken & Howard business division of Gilmour and Aitken to trade exclusively in Guyanese Greenheart and this focus resulted in the company quickly gaining an enviable reputation as a leading supplier for major civil engineering projects in both the UK and international markets. To further enhance Gilmour & Aitken’s ability to service its broad and growing range of customers, there have been several major investments since the 1990s. With the purchase of adjacent land, the overall size of the yard has grown to 17 acres to allow significant increases to undercover storage capacity. 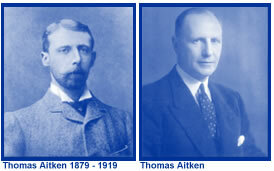 Gilmour & Aitken has grown in a sustainable way for well over 150 years. The current Directors are committed to continuing this trend by ensuring plans run parallel to industry developments and customer needs and expectations.